Prague is an old and somewhat dirty but at the same time very graceful and elegant. Despite living through several wars, Prague’s charm still manages to attract hours of tourist every year. With a rich history which goes well with the well maintained medieval city you can only see why Prague is one of the most visited cities in Europe. Like most medieval cities across Europe, Prague is filled with picturesque cobbled streets winding through the city. You will discover many churches, markets, neat little shops and bars whilst walking through the city. The medieval architecture can be seen all across the city. Starting in the Old Town where you can see the Týn Cathedral with its iconic tower looking like something out of beauty and the beast. 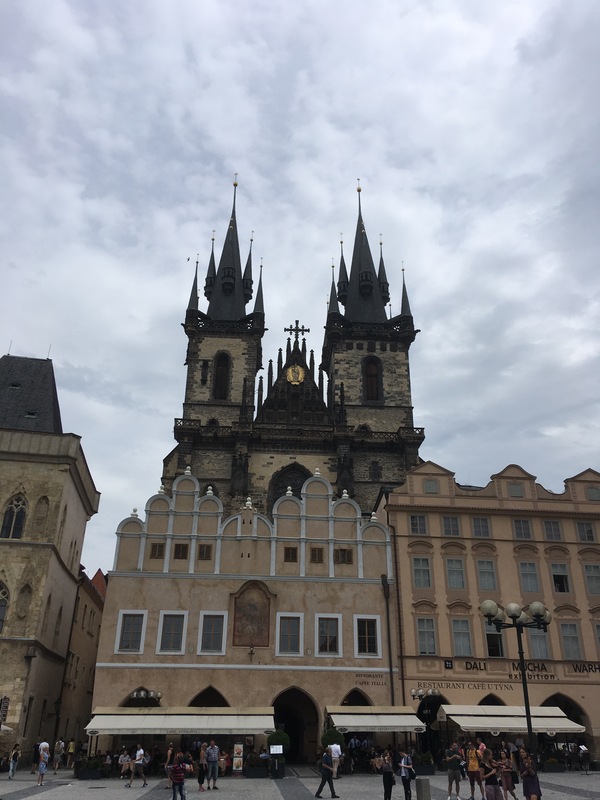 The Old town square is also famed for the Jan Hus memorial and the Astronomical clock which is one of the oldest clocks in Europe. From the Old Town you can head to Charles Bridge which has a great view along the river and looking up at the castle. The best time to go is in the evening when all the tourists have disappeared. After a stroll across Charles Bridge you will meet Prague Castle. Prague castle stands tall over looking the city it was once defended. From the Castle you get great panoramic views of the city. 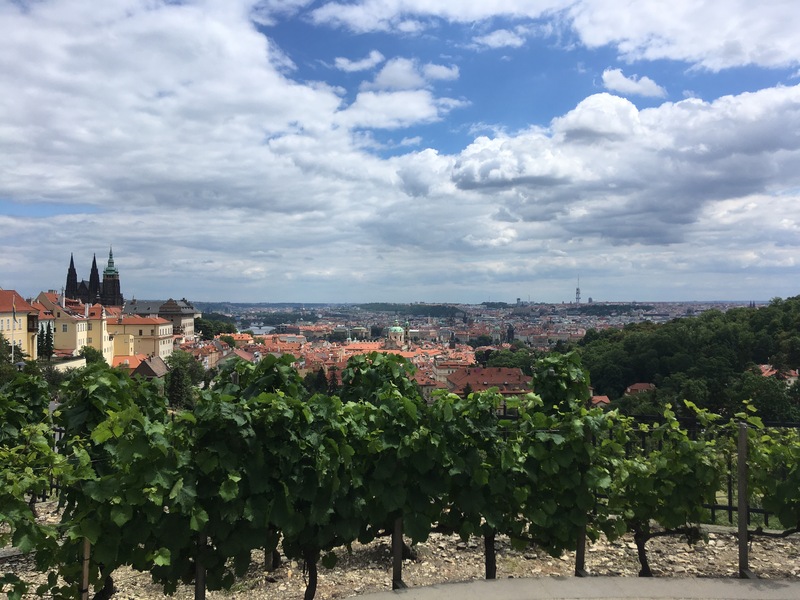 If you fancy a break in the day, nearby the castle is a restaurant called Bellavista which has a amazing views of the city whilst your eating and it has a little vineyard at the front of the restaurant. 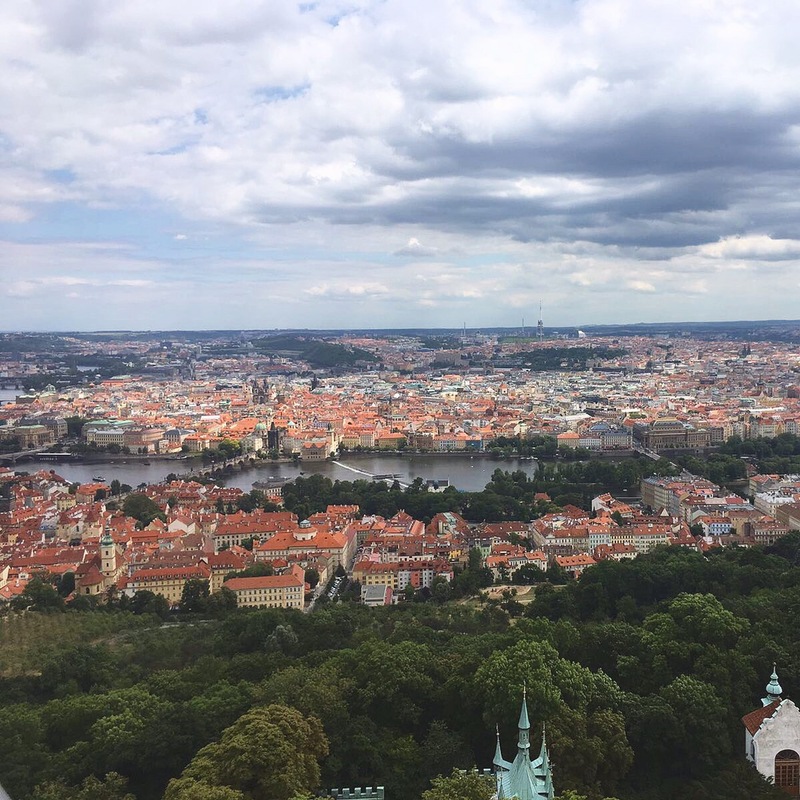 If you are looking for a even better view of Prague then head up Petrin Tower. 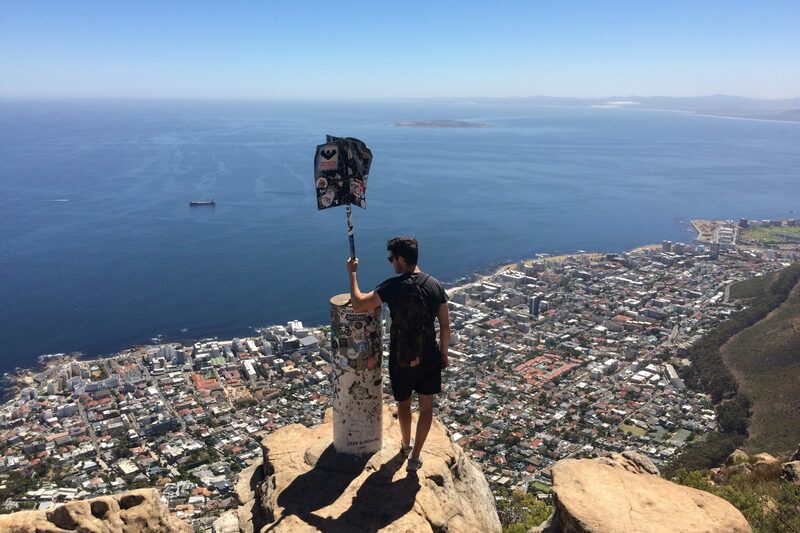 It looks similar to the Eiffel Tower and offers amazing views of the city from the top. Petrin park can offer a quite and peaceful escape from the manic of the city. If you find you’ve got a few hours to spare then jump on a pedalo and get a different view of the city from the river. 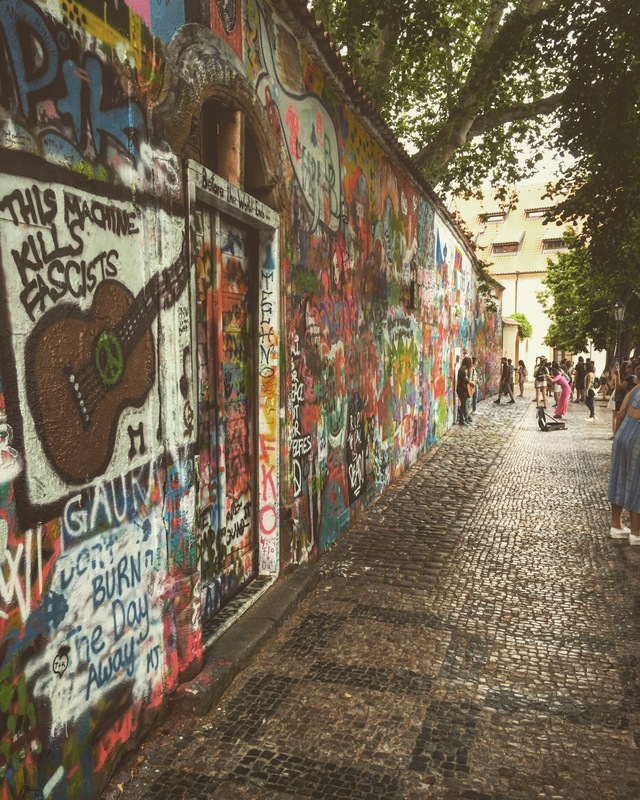 The John Lennon wall is one for the hipster’s guide. Difficult to find amongst the winding cobbled streets but well worth the wonder once you’ve found it. It became an artist canvas in the 1980s after students used the wall as protest against the communist regime. Its well worth taking a pen and leaving your mark on the wall. Prague is famous for its beer and no place that does better beer in the city is the Prague Beer Museum. With 30 beers on tap its easy to get carried away trying all the beers on offer including flavoured beers like chocolate and raspberry. Another unique place to visit in Prague for a few beers is Vytopna Railway Restaurant. 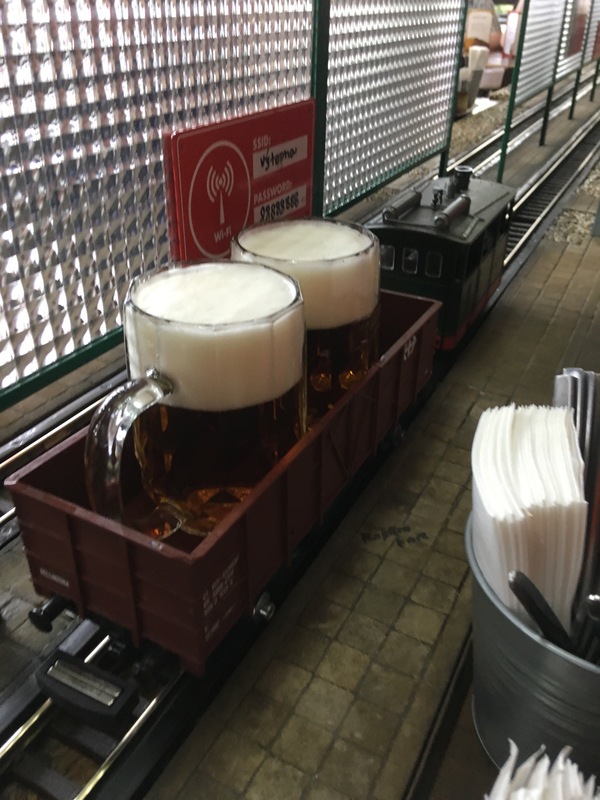 Its unique with the way that your beers are brought to you by small train with a carriage on the back to carry the drinks, its quite different and unique which you don’t find often. Despite the mass of tourists, Prague is one of the most interesting and prettiest cities in the world which will always make it one worth visiting.